God is amazing. I know that. But boy is it humbling when we get to be a part of something amazing He is doing! He is perfectly capable of working His miracles without any help from us. In fact, probably most of the time, we imperfect and sinful humans just make His work harder to accomplish! (You know, like baking cookies with a 3-year-old?? Enough said.) I just think it is pretty cool when He allows us to be a part of His work and Assembly Day was one of those experiences for me. Ready to distribute to those in need! Assembly Day was just plain FUN! No one person funded this project. Each contributed their “little” – for some that was money, for some, time, some donated supplies, and some will distribute. But, wow! Look how “much” God was able to do with each family’s offering! Now we get to watch and see what God does with the distribution phase of this project. I actually had an opportunity to hand out my first bag on Wednesday and it was very exciting to have something already prepared and ready to give. The bag was well-received and I’m praying it will have a spiritual impact, as well! 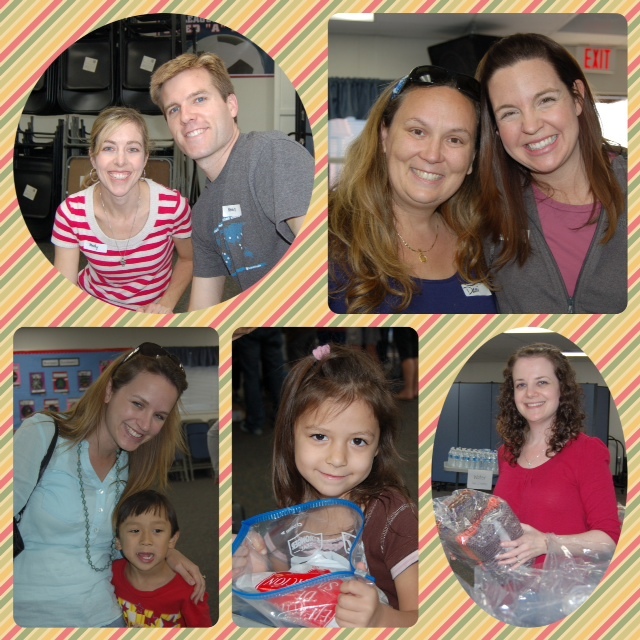 The experience of Project Blessing Bags has taught our family so many lessons. If you’d like to read more about what we’ve learned through this process, stop by my friend Holly’s new blog, It’s a Matter of Moments, where I’m guest-posting today. You can find that story, “Making Much of Little”, HERE. 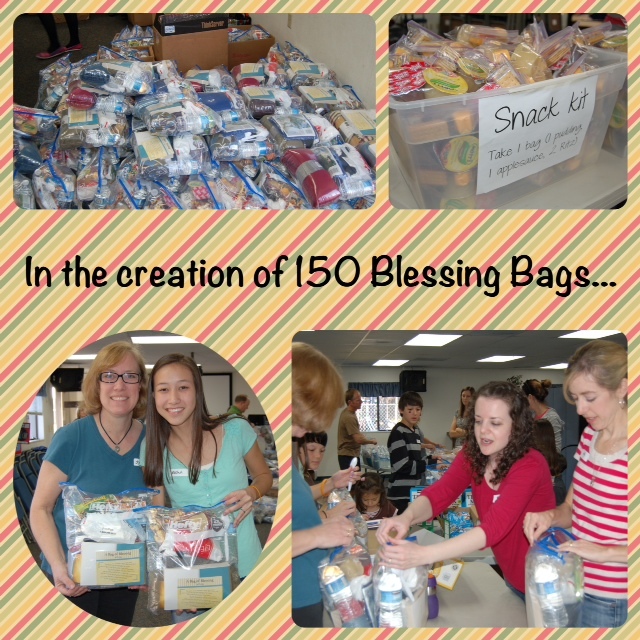 If you think organizing a Blessing Bags project might be something you’d like to do to make an impact in your community, I’d be happy to share some resources with you to help you get started. Just leave us a comment below! 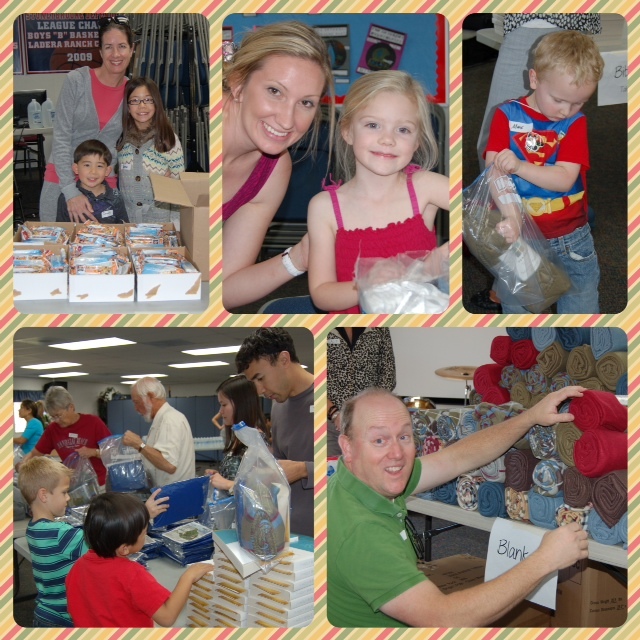 And if you were a part of this Project Blessing Bags, we’d love to hear your perspective and stories about Assembly Day or opportunities you have to give the gift of a Blessing Bag to someone in need. Don’t be shy! Share your thoughts below! We were so thankful we got to participate! Thanks, Molly (and your family)!